Before her Santa Barbara Courthouse wedding, the bride got ready at a nearby hotel. 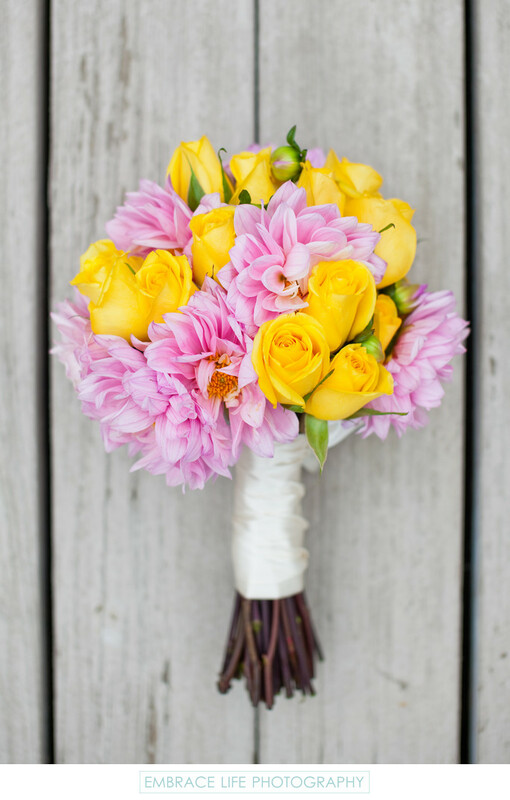 Her vibrant pink and yellow bridal bouquet was photographed against the beach styled wood on the deck outside of her room. Location: 1100 Anacapa St., Santa Barbara, CA 93101.